WayMakers would like to commend this prayer guide, Hindu World Prayer Guide 2017 (which is published by worldchristian.com), and has made it easy to order from WayMakers online or by phone. Join Christians around the world in prayer for our Hindu neighbors near and far. 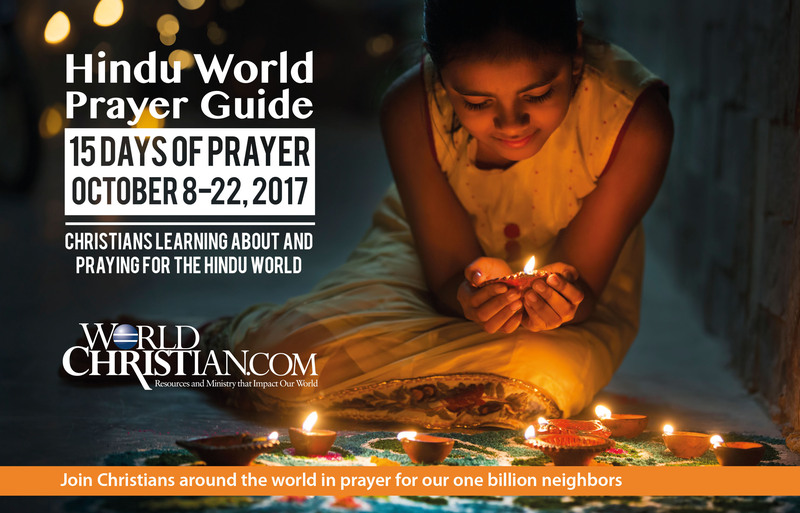 The new annual Hindu World Prayer Guide calls Christians and churches worldwide to take 15 days from October 8 – 22, 2017, to learn about and pray for our world’s over one billion Hindu neighbors. This time period also encompasses the significant Hindu Festival of Light (Diwali). Hindu peoples are precious to God and so let’s be diligent in our desire that Christ be made known to them. As we become informed about how to pray for Hindu people, we will be asking God that they come to faith in Christ and experience His gift of salvation. This informative prayer guide will help you to know how to pray for the peoples growing up within this major and very diverse world religion. If this 15-day time frame does not work for you, there is no prohibition to taking another 15 days. Be the first to review “Hindu World Prayer Guide 2017” Click here to cancel reply.